The concerns were listed in investigative files released this month by the El Cajon Police Department under a new state law, allowing the public greater access to police use-of-force investigations. 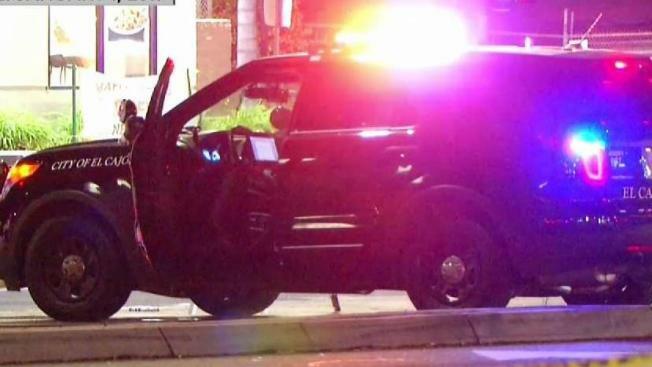 Newly released records from the El Cajon Police Department describe several officer “training concerns” that were identified after the 2017 shooting of a mentally ill man. The detailed reports were released under a new state law that gives the public greater access to records of police use-of-force and officer misconduct investigations. On January 1, 2017, Danny Baldwin, 56, called 9-1-1 several times, demanding that El Cajon police find a female friend of his and a dog. According to the investigative files, officers spotted Baldwin near Second Street and Oakdale Avenue in El Cajon. Baldwin had a knife, and officers said he refused to follow their commands. To read the investigative file, click here. Officers said Baldwin turned and ran away, and when he stopped, he allegedly refused to drop the knife. According to the department’s investigation, two officers each fired their TASERs at Baldwin, but those shots failed to subdue him. That’s when Officer Andrew van Wortkom shot Baldwin four times. Baldwin survived those injuries. Officer van Wortkom later told department investigators that he believed Baldwin was a threat to him, his colleagues and bystanders. An internal department review of the shooting and subsequent review by the San Diego County District Attorney’s office concluded that van Wortkum’s use of force was justified. The documents released this month confirm the department incorporated those and other suggestions into a revised officer training program. The records surrounding the Baldwin shooting were made public in response to public records request filed by NBC 7 Investigates and five other local news outlets for all files on use-of-force and police misconduct investigations. A new state law that took effect January 1, 2019, makes those investigative files a public record. Before the passage of Senate Bill 1421, state and local law enforcement agencies could withhold those records by citing an exemption in the California Public Records Act for “investigatory” documents. Less than a month after Senate Bill 1421 took effect, the labor union that represents El Cajon police officers, as well as seven other local police department unions asked a judge to block the release of those records. An attorney for the police officer unions argued that the new law should not apply to investigations that took place before the law took effect, this past January. NBC 7 Investigates and five other local news outlets opposed the police officers’ request, arguing that the law requires the release of the older records and that the public has a genuine interest in knowing more about how police investigate officer-involved shootings and citizen complaints of officer misconduct. San Diego Superior Court Judge Eddie Sturgeon rejected the police officers’ legal challenge and ruled that the law requires the retroactive release of investigative records. According to a letter from El Cajon’s City Attorney, the city will periodically release additional records on its website.